I've been MIA for a bit and while I blame my time management skills now that summer is over, it's also because I've been very busy in author world. 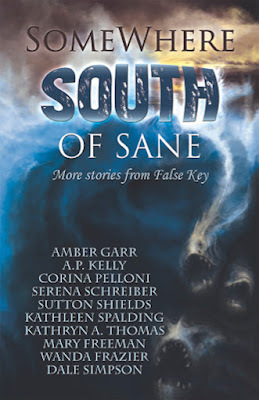 I plan to do an update soon about upcoming releases, novels, works in progress...but in the mean time I can announce my involvement with the second edition of the SOMEWHERE SOUTH anthology! For the first time in a long time, I have returned to the world of the Syrenka Series. Julian (our selkie king) is making an original appearance in the latest edition and will give everyone a peek into the story behind the selkie that fell in love with a mermaid. 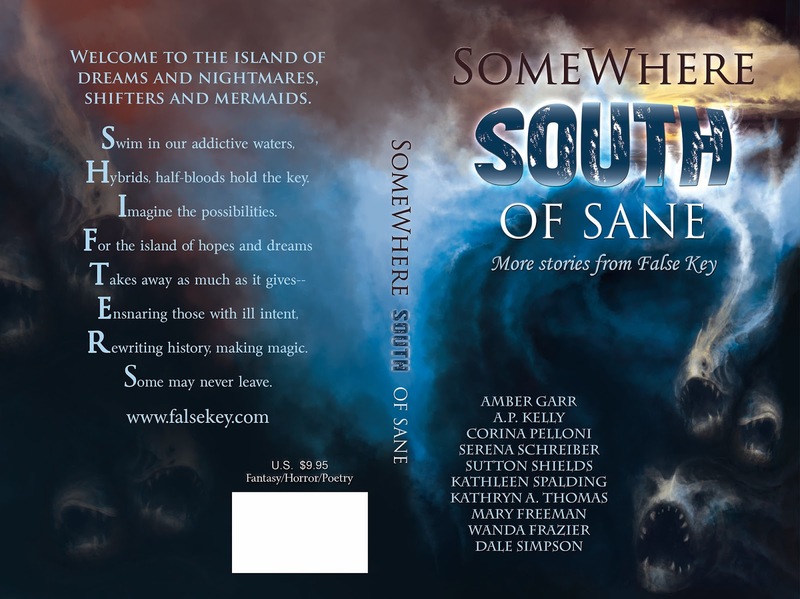 All stories in the anthology take place on False Key - the island of dreams and nightmares, shifters and mermaids. The official release date is October 4th, but you can pre-order your own copy now for just $2.99! Visit False Key—We love our tourists. So tasty. Looking for a fantasy getaway? 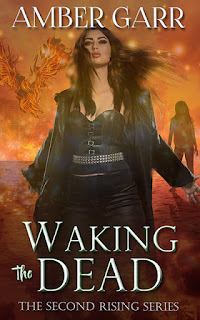 Ready for some supernatural romance? 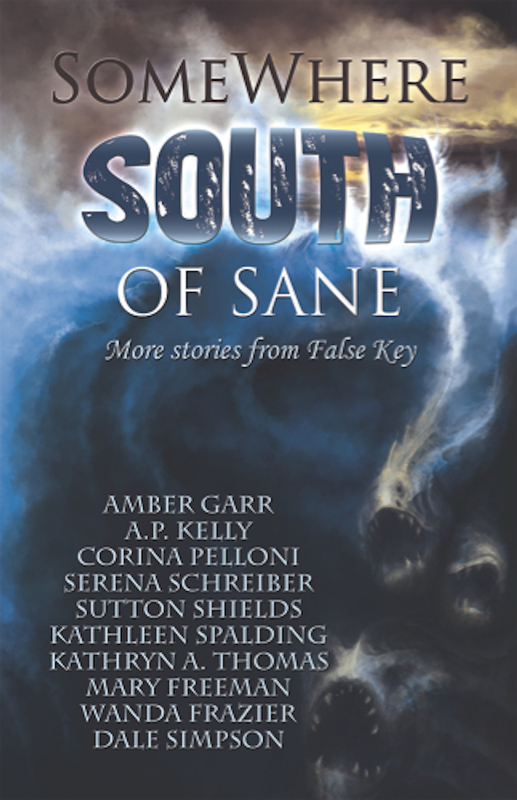 In a dozen short stories and poems, escape to False Key, Florida--island of dreams and nightmares, shifters and mermaids. Some want to hook up, but beware. Watch out for predatory marine life on the prowl, catch up with your favorite naughty angel, a wily witch, and a fearless shaman in Book 2 of Somewhere South. Whether you're stopping for a cold one at the Peg Leg or catching a late show at Skinwalkers, False Key nightlife promises creepy bartenders, magic-slinging waitstaff, and gullible patrons. Why not join them? 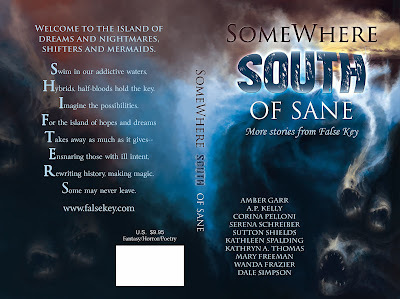 If you like the Bourbon Street books by Deanna Chase, the Syrenka series by Amber Garr or Sutton Shields’ Merworld Water War stories, you’ll love these supernatural tales set on a mythical island in the Florida Keys. Well Inked by Serena Schreiber--False Key's new shaman wants a whale but inherits a twisted kitty. Propagation by Mary Freeman--Do you know where mangroves come from? Beware the beach. Inversion Therapy by Dale Simpson--Shift your perspective on love and partnership compliments of False Key. Persuasion by Amber Garr--While seeking a mate, a selkie gets distracted. Distant Shores by Kathleen Spalding--Reality stretches, revealing secrets in the night. P.O. Box 319 by Corina Pelloni--A post box delivers supernatural correspondence. And a snake ghost. Father's Day by Amber Garr--A huckster gets the girl. But she's a shifty one. Over It by Sutton Shields--A Mini Wave (Supernatural romance from The Merworld Water Wars series). Yon Hither by A.P. Kelly--Unstable ley lines threaten to rip the fabric of reality. Again. Handy by Serena Schreiber--When the King Tide washes up something big and fishy, the merman in pursuit enlists the help of our favorite shaman. Twisted kitty lends a paw. You'll also enjoy poetry from Kathryn Thomas, Wanda Frazier, and Mary Freeman as well as the artwork of Corina Pelloni and Dj Voelker. Buy Somewhere South of Sane, and slip away from reality today.